SALIGRAM SYSTEMS INC in Plainsboro, NJ seeks Computer Programmer to Design, develop, test, build and implement mobile application s/w utilizing Java platform, Java, JSP, RESTful WebServices, SOAP, JSON, XML, , JUnit, SVN, and Jenkins Build Tool. SALIGRAM SYSTEMS INC in Plainsboro, NJ seeks Programmer Analyst to Design, develop, test, build and implement mobile application s/w utilizing Android platform, Java, Android Wear, Android NDK, UI Toolkits, RESTful Services, SOAP, JSON, XML, Android Studio, adb, Gradle, JUnit, SVN, and Jenkins Build Tool. SALIGRAM SYSTEMS INC in Plainsboro, NJ seeks Database Administrator to Install , configure, design, create, manage and tune production databases and Ensure all Databases are backed up and are working fine by utilizing SSMS,T-SQL/PL SQL, Red gate , Odera, SSIS, SSRS, SSAS, net backup, DTS, Data Masker, IBM Optim and MS Office. SALIGRAM SYSTEMS INC in Plainsboro, NJ has job openings for Software Developer. Jobs located in Plainsboro, NJ and various unanticipated locations throughout the U.S. to Develop and build user interface for websites, products, and mobile applications. Review and analyze functional requirements, and mapping documents. Assist in problem solving and troubleshooting. Code, unit test, develop, and deploy applications as per client needs. Travel/relocate to various unanticipated locations throughout the U.S. for long and short term assignments at client sites. Mail resume with cover letter to Saligram Systems, Inc., 666 Plainsboro Rd, Ste 1365, Plainsboro NJ 08536. Sr. Software Engineers to Plan, design, develop, create, test and modify computer applications software and specialized utility programs on different O/S using latest tools and technologies. Travel and/or relocation to unanticipated locations throughout the US may be required. *** Master's degree in Computer Science, Engineering, CIS, Information Technology or Information Assurance is required. Apply with 2 copies of resume mentioning the position applied to – HR, Saligram Systems, Inc. 666 Plainsboro Rd., Suite 1365, Plainsboro, NJ 08536. Sr. Programmer Analysts: Plan, design, develop, enhance, customize and co-ordinate activities to implement advance software module components in complex computer environments on different O/S using latest tools and technologies. Travel and/or relocation to unanticipated locations throughout the US may be required. *** Bacherlor's degree in Computer Science, Engineering, Business Administration, MIS or CIS with 5 years of experience in any IT related occupation. We are currenlty looking for a Cloud Configuration Specialist who will be responsible for the architecture, deployment and automation of the Cloud infrastructure . The infrastructure involves a mix of physical, virtual and public cloud environments on primarily Windows and some Linux servers. The Configuration Specialist will build and design our clients private and public cloud solution. The candidate must have extensive experience with Amazon Web Services, AWS, Chef, Puppet, Jira and Windows environments. Strong hands on knowledge of Azure and AWS services and technologies. Strong understanding of enterprise infrastructure and cloud deployment. Previous experience in deploying solutions in Azure and AWS platforms. Experience with Mid Server setup in Different Cloud Environments Like Amazon, Azure and Google Cloud Platforms. Experience in writing different chef cook books and recepies in Both AWS and Azure Environments. Document the architecture and architectural decisions related to the assigned application portfolio. Be responsible for leading and directing system implementation throughout the system development lifecycle across the complete stack (i.e. physical, data, network, transport, session, presentation, and application). Experience to document and speak to risks, mitigation, and alternatives. Requires BS in Computer Science or a closely related field. Ability to write clean, maintainable code. Write quality code using Java for developing features and bug fixes. Using SQL server and Elastic Search as the primary storage sources. Using Apache, Tomcat and FireHose servers to deploy the applications. Using NewRelic for application’s performance analysis and Kibana for log monitoring. Closely coordinate with the Design , Product, API and QA teams for smooth release of features into production. We are looking for a Computer Systems Analyst to Design, develop, test, build Implementation and testing of SOA solutions using ETL, EDI, Postgres, SQL and DB2 technologies. Knowledge of analyzing the EDI 999 files from the Carriers and MCOs and perform root cause analysis for exceptions. Analyzing EDI files sent to and received from Carriers/Managed Care Organizations (MCO) and identify errors and the root cause for EDI file rejections. Working for the EDI Operations team to provide EDI related services for the Exchange. Knowledge of migrating of the database from DB2 to PostgreSQL. Experience in implementation of HIPAA EDI Transactions (834) and facilitate Electronic Data Interchange. Performing 8001 Flat File validation and analysis. Experience in validating 1095-A and 1095-B files, reconcile 8001 transactions. Experience in communicating with IT team, business team, and other stakeholders to translate business needs into EDI data fixes and solutions. We are looking for a IT PROGRAM MANAGER who will be responsible for developing roadmaps, influencing intent and priority, and coordinating work of the development team. * Act as laision between the customer and development team, presenting complex requirements, and project metrics to both technical and non-technical audiences. * Define key requirements and timelines for the development team. * Drive verification, gap analysis of application operational readiness, and ensure performance of critical services. * DevOps technologies such as AWS, CI/CD, ATDD, Service Virtualization, Version One, & Jira. * Plainsboro, NJ and various unanticipated locations throughout the U.S.
Mail Resume to Attn: HR., Saligram Systems, Inc., 666 Plainsboro Road, Suite 1365, Plainsboro, NJ 08536. 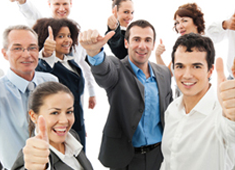 All employees of Saligram Systems, Inc., are automatically enrolled in the employee referral program of the company. Referral fee of $1,000 will be paid if referred candidate is hired by the company..
We are looking for a BUSINESS ANALYST responsible for Creating, developing and maintaining business requirements for Web applications. * Responsible for creating and reviewing business requirements, functional specifications, project schedules, technical documentation and test plans. * Involved in Sprint-planning by participating in meetings of each sprint involving Scrum Master, Product Owner and Team. * Involved in Project Planning, Management, Analysis and Enhancements of the Application . * Identify new advance technologies of implementation to improve the system. * Develop of Test Strategy and Test Plans to ensure that test cases reflect user needs for the Functional, User Interface, Performance, Usability and User Acceptance Testing requirements. * Track the project implementation progress status for each module’s functionality by the tracking tools.